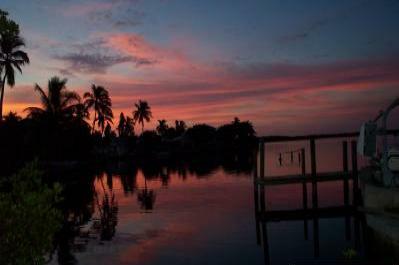 Moonlight Bay Cottages Vacation Rentals in SW. FL. our own dock where there is always great fishing. a deep sea fishing trip or rent a boat yourself. or just sitting by the solar heated pool which overlooks the bay. charge, Your boat has to be shallow draft up to a maximum of 3 ft. This is on a 1st come 1st serve basis as are the other freebies. sanctury in Shell Factory 30 minutes drive. Edison Ford Estates 40 minute drive. 16 plex cinema 20 minutes. to $850.00 a week.From $2000.00 to $2500.00 a month. $750.00 to $900.00 a week. From $2500.00 to $2800.00 a month. to $1014.00 a week. from $2800.00 a month to $3200.00 a month. to be paid in full. Required balance of the total is required 14 days before arrival. rent to someone else we will refund your deposit also. the unit to be fumigated. contact us for avalability and pricing. Moonlight Bay Cottages is for sale. Historical district,all furnishings included , turn key business.